Confessions of a Single Parent Pessimist: My New Single Parent Linky! My New Single Parent Linky! 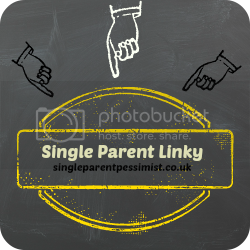 To make it easier to find all these blogs, I thought I would create a Single Parent Linky which will run fortnightly. It also means that if you enjoy reading my blog, you will get to find some other single parent bloggers and their great posts to enjoy too. All single parent bloggers can add as many posts as they want, about anything they want! In return, all you need to do is comment on at least two other people's posts in the link-up. Thanks, I'm in. I'll write something later and post. Just what I needed to recharge my blogging mojo. Great idea! I am a single mum! Great idea - def something to be proud of! Great idea, single Dad here!